This is a great book for anyone looking for inspiration from some truly badass ladies. Porath’s rating system means that you can share these stories with the little girls in your life, and let them know they can grow up to command their own tank regiment (Mariya Oktyabrskaya), overcome handicaps (Wilma Rudolph), be great at math (Hypatia), and/or decide exactly what they want out life and strive for it. So here you are, reading a book review about a book about the history of George Washington’s books. It’s hard to get more meta than that. In all seriousness, though, this was an interesting angle for a history/biography about the first president of the United States. Working roughly in chronological order, Hayes takes us through the library at Mount Vernon. We start with Washington’s earliest books (collections of devotions by famous preachers), and move from there to travel guides, reference books, abolitionist tracts (though he regrettably never used his considerable political influence to address the injustice of slavery, in his personal dealings Washington was an abolitionist), popular fiction, and military books. Hayes introduces us to a man born in the American colonies, and denied a “proper” English education. In order to compensate for an education he perceived as lacking, Washington would embark on a lifetime quest of self-improvement. He actively sought out books to deepen his understanding of the physical, spiritual, and literary worlds. His passion for books and for reading would remain undiminished throughout his life. George Washington has deservedly been the subject of countless biographies. Approaching his life from the direction of his library is both refreshing and educational. While some of the conclusions the author draws based on the content of the Mount Vernon library shelves seems a bit reaching, on the whole this is a fascinating look at one of the Founding Fathers of the United States. I’m still working out this book. It took me an insanely long time to get through (almost three months!) And while I enjoyed it, I’m still not sure whether or not I liked it. The book centers around Archibald (Archie) Isaac Ferguson. Well, technically four different Archie Fergusons. While each Archie is genetically identical, each takes a slightly different path in life, and as he grows from boy to teenager to young man, those paths diverge (and yet, still converge) all the more. Archie is born in 1947, enjoys a sometimes more, sometimes less (depending on the Archie) bucolic childhood in the fifties, and comes of age during the tumultuous sixties. The stories follow each Archie as he grows, one chapter for each period of each Archie’s life. Throughout the story, we see how each Archie is separate and distinct, yet at the same time, similarities and sameness abound. As I said before, I’m still not sure whether I like the book or not. The writing is phenomenal. Archie (in all his iterations) is brought to life as a fully-realized human being. The boy seems to live and breathe within the pages. So too, is the setting he finds himself in. You can almost feel yourself immersed in the 1960s as Archie grows older, taste the tang of revolution and change in the air, the frustration of the United States’ useless war in Vietnam, and the longing of the younger generation to enact broad social reform. 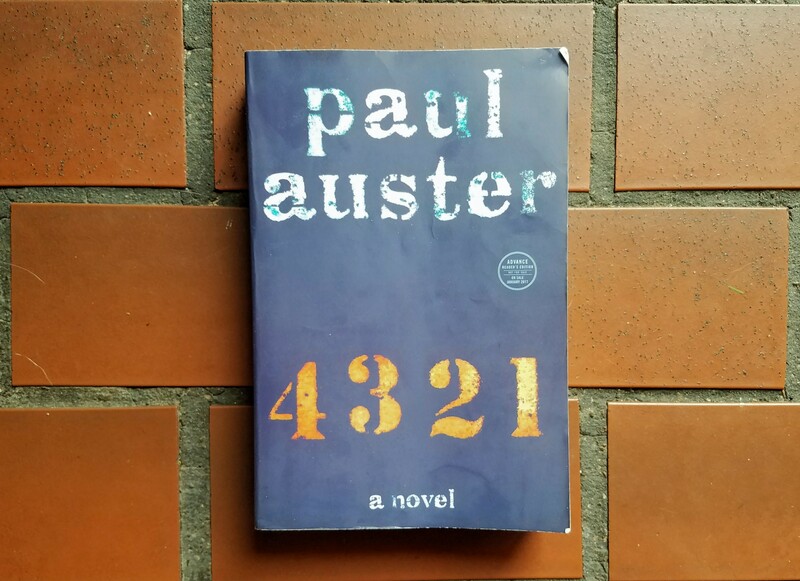 This book is real, and Auster is certainly a master of his craft. So what the hell is my problem? Honestly, it may be more of a formatting and grammatical issue than anything else. This book was a slog. At 800+ pages, it’s physically imposing. But more than that: the chapters are generally forty to fifty pages long, sentences run on for the length of a (very long) paragraph. And while you find yourself immersed in the story, at the same time, you just want it to end; for the sentence to finish, for the chapter to be over.I really had to push myself to finish the book, and took to reading one chapter at a time, in between books. 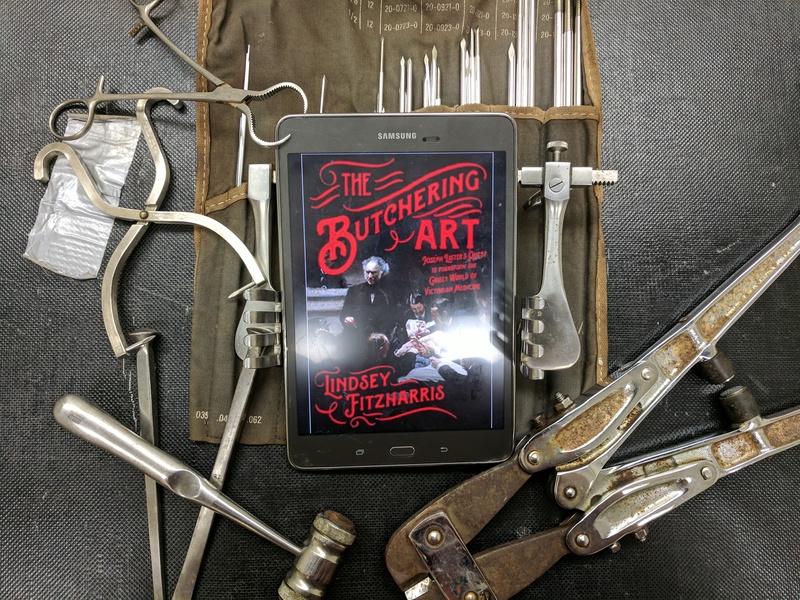 While I’m fully aware that all this is likely just my ADD throwing itself at the walls, be warned: this book is great, but this book is a commitment (which I may or may not mean in the sense of being incarcerated). So in sum, this is a good book, a very good book, and one written by a very talented author. But I have to say that the more casual reader may want to pass this one by. 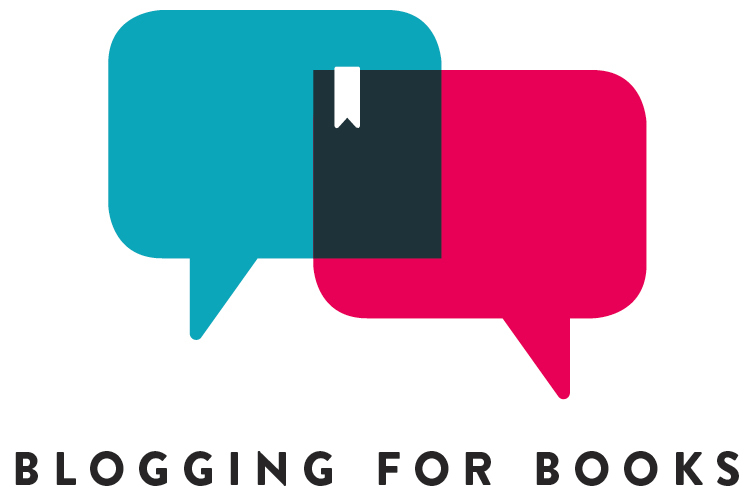 But if you’re looking for a literary challenge, this is the book for you. A copy of this book was provided by the publisher via Goodreads in exchange for an honest review. I remember reading about the radium girls as a side bar in The Poisoner’s Handbook by Deborah Blum. 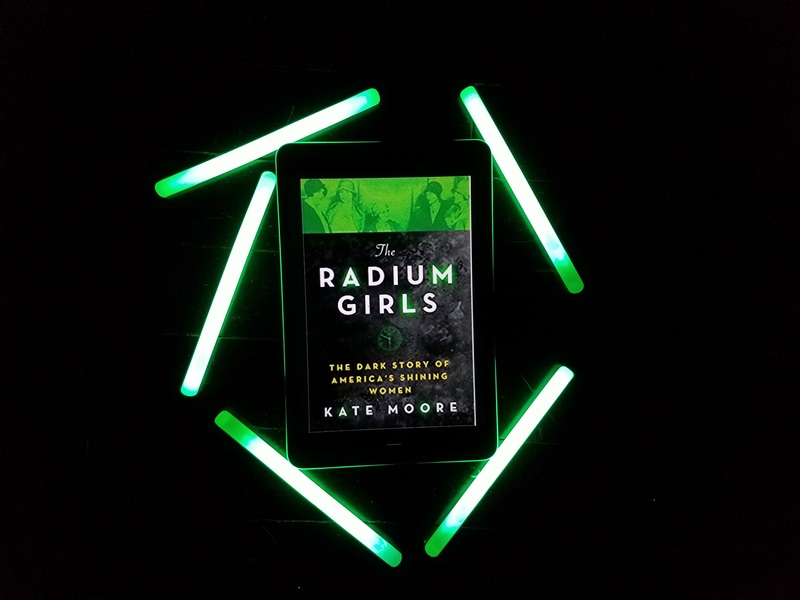 The story was fascinating enough as a side bar, but in The Radium Girls, Moore brings these women to life. These girls, some as young as thirteen or fourteen years old, worked painting watch dials with luminescent radium paint. The work was considered to be quite a few steps above common factory work; the work was skilled and the girls were considered lucky to be able to work with the new miracle substance: radium. With our current knowledge, what happened next should surprise no one. The girls began to get sick, many horrifically so. Their battle for compensation from the radium companies would reshape the nature of worker’s rights in the United States. The Radium Girls is thoroughly researched and impeccably written. The depth of Moore’s work is nothing short of breathtaking. She uses primary sources, including the letters and diaries of the girls themselves, and the reminisces of their families, to give each one a unique, real voice. Moore takes the story from the original girls hired in the manufacturing boom brought on by World War One, through the following decades into the present day. Though it has been one hundred years since radium dials exploded as a wartime necessity, the ripple effect of the fates of the dial painters is still very much felt today. Moore has done an amazing job with this story. Her careful attention to detail makes these women, who lived and died so long ago, seem real and alive in the pages of the book. Her narrative is both educational and absorbing, making this a great nonficton read even for those who normally avoid the genre. Any fan of The Immortal Life of Henrietta Lacks by Rebecca Skloot should read this next. In 1917, Hermann Rorschach, brilliant Swiss psychiatrist and amateur artist, invented a test that would redefine the field of psychology, and would in time become synonymous with the strengths and the weaknesses of the field. Rorschach sought to go beyond the work of contemporaries Freud and Jung with his (in)famous inkblots. Rorschach believed that while people could alter or mask what they said, they could not alter what they saw. Rorschach developed the blots as a way of plumbing the depths of the human psyche, the test would reveal the workings of the inner mind by revealing how people perceived external images. Searls’ book is a comprehensive history of both the test and the man who invented it. From Rorschach’s occasionally less-than-ideal childhood in Switzerland, to his coming of age in medical school, his tempestuous marriage to a Russian doctor, and his early death shortly after publishing his inkblot study. We meet a brilliant and creative man, the son of artists, who sought to excel at everything he did, whether at art, music, or medicine. We learn about his careful crafting of the blots themselves, about the planning and execution involved in making the cards both suggestive and abstract at the same time. The book also details the rise and fall of the Rorschach as a psychological test after its creator’s death. From its height in the 1940s and 1950s, to its decline in the anti-establishment 1960s, to its emergence as a pop-culture staple. This book is an intriguing look at a fascinating scientist and the test which bears his name. The book is strongest when dealing with Rorschach himself. The controversy surrounding the test later in the 20th century are given a drier treatment. While fascinating, this section of the book lacks something that was present in the first part. In all this is a great book for history buffs or psychology fans. The subject matter is truly interesting, but the dryness of the later half of the book might make this a bit tougher on the average lay reader. An advance copy of this book was provided by the publisher via LibraryThing in exchange for an honest review. Inkblots will be available for purchase on February 21st, 2017.